Armenia’s new government took power earlier this year with a vow to eradicate corruption and oligarchy. And while many business figures with ties to the old regime have been prosecuted or fled the country, one man remains curiously untouched. Gagik Tsarukyan, one of the richest men in Armenia and the head of the Prosperous Armenia party, has built his business empire thanks to his close connections to successive governments. And at least so far, he is continuing that pattern under Armenia’s new regime, expanding his business operations while positioning Prosperous Armenia to be the second-largest party in parliament after pivotal elections in December. Tsarukyan was first elected to parliament in 2003 and was an ally – albeit a not-always-reliable one – of former presidents Robert Kocharyan and Serzh Sargsyan. But when Nikol Pashinyan led protests this spring aimed at toppling Sargsyan, Tsarukyan shifted his support to Pashinyan’s self-styled revolution. Tsarukyan’s faction still holds 31 seats in the 105-member parliament. Meanwhile, Tsarukyan has continued to grow his businesses. In August, he announced the creation of a “Industrial City,” to be built by his company Multi Group Concern in the Kotayk region near Yerevan. The city will include textile manufacturing, a solar-panel factory, and a cryptocurrency farm that the backers claim will be the biggest in the world. Tsarukyan has touted the ability of the project to gain foreign investment, one of Pashinyan’s key goals. Pashinyan himself attended an opening ceremony for the cryptocurrency operation in October, and was questioned by journalists about whether Tsarukyan was a “businessman in politics,” something that Pashinyan has repeatedly criticized. “Gagik Tsarukyan has a big ownership in Armenia. It’s not a secret for anyone, the rest doesn’t need my comment,” Pashinyan replied. The mining farm alone will attract investments of $2 billion, Tsarukyan has claimed, including from Korean and Austrian companies. Armenian-American Zareh Balasanyan has invested $2 million in the solar-panel operation. One of the most intriguing potential investors is a Kuwaiti sheikh, Ahmad Al-Fahad Al-Sabah, a senior official in the International Olympic Committee who stepped down from his post on November 19 amid an investigation into forgery and fraud. Al-Sabah visited Armenia on November 5 and called Tsarukyan his “brother.” According to a report on Kentron TV, a network affiliated with Tsarukyan, “Sheikh Ahmad Al-Fahad Al-Sabah promised to invest billions in Armenia if Tsarukyan wins in the elections." Meanwhile, Tsarukyan’s many other businesses – which range from luxury car dealerships to alcoholic beverages to media holding companies – continue to operate with little interruption from the change of government. And the world of Armenian sports, which Tsarukyan has long dominated as the head of the Armenian National Olympic Committee, has remained as murky as ever. Tsarukyan personally announced the formation of a new Armenian National Boxing Federation in August, which is unrecognized by the sport’s international governing body, the International Boxing Association. The apparent goal was to sideline Artur Gevorgyan, the head of the other, internationally recognized federation, the Armenian Boxing Federation. Gevorgyan said that he was targeted by Tsarukyan when the latter learned that he planned to run for the head of the national Olympic committee in 2020. “That’s when they started the hunt against me,” Gevorgyan told Eurasianet. At the same time, Tsarukyan and his allies have for the most part been spared the wave of prosecutions and investigations that the government has carried out against business figures tied to the former government. Pashinyan has on occasion acted against Prosperous Armenia. In October, when the party, along with other forces from the former regime, tried to block Pashinyan’s efforts to hold early elections, Pashinyan removed the two ministers from Prosperous Armenia who had been in his government, in the ministries of sports and youth affairs and of emergency situations. But the replacement sports minister was also a Tsarukyan ally, and a few days later, Tsarukyan backed down and the two men publicly signed an agreement to hold early elections. 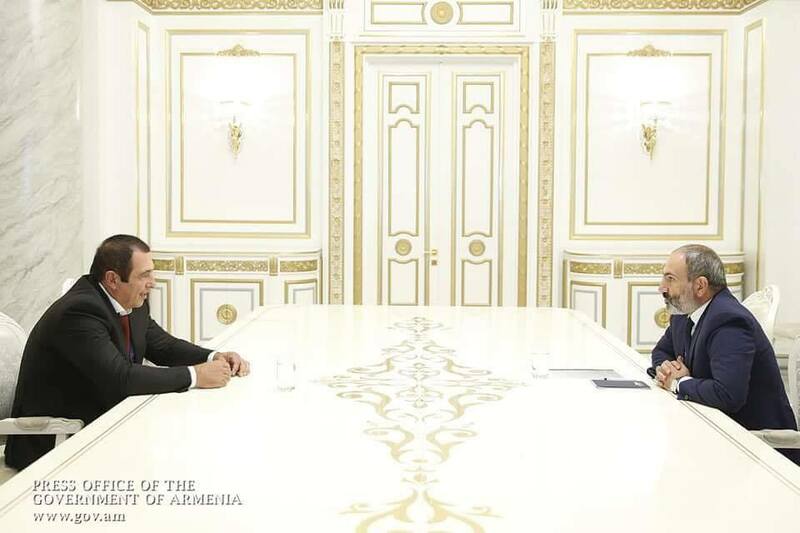 And relations between Pashinyan and Tsarukyan have been noticeably warm. In October, when a journalist challenged Tsarukyan about what a businessman was doing in politics, he defended himself by quoting Pashinyan. “The prime minister said I’m an entrepreneur,” Tsarukyan replied. But not everyone agrees. "Oligarch Tsarukyan must understand that he has no right to engage in politics,” Ashot Manucharyan, a senior official under former President Levon Ter-Petrossian and now a political analyst, told local television. “Tsarukyan should get zero votes and such a party led by Tsarukyan should not be in this parliament." Tsarukyan’s future will depend to some degree on how he does in the parliamentary elections, scheduled for December 9. According to a Gallup poll released two weeks ahead of the vote, Prosperous Armenia is a distant second to Pashinyan’s My Step bloc. But the 6.7 percent support for the party is far ahead of any other opposition contender. “I will not say anything about our ambitions, it not correct to guess, but I am sure that Prosperous Armenia will have quite significant results,” said Arman Abovyan, a candidate for parliament from the party, in an interview with Eurasianet. If Prosperous Armenia does make it into parliament, it can be expected to follow its previous pattern of voting along with the ruling party, said Hayk Khalatyan, a political analyst in Yerevan. “Tsarukyan knows that his businesses’ security depends a lot on his political strength,” Khalatyan told Eurasianet. But Khalatyan said the party could be expected to be a pro-Russia voice in the parliament, particularly if the current ruling party, the Republican Party of Armenia, doesn’t make it over the threshold. Just before the election campaign kicked off Tsarukyan met with Vyacheslav Volodin, the speaker of the Russian Duma and other members of the ruling of United Russia party. Tsarukyan also has longstanding friendly ties with Belarusian President Alexander Lukashenko, with whom Pashinyan has recently been sparring.